He is a professional insta-model, trusted product reviewer, anxiety and heart healer, and a trick master. 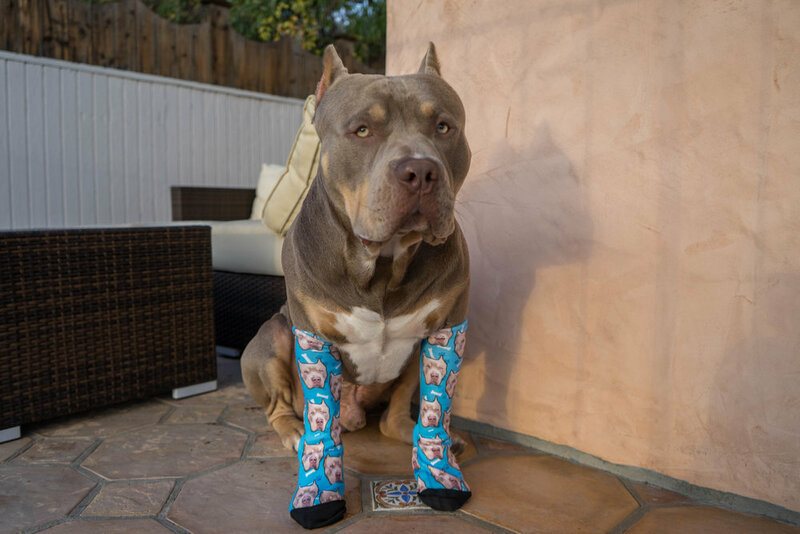 Clyde is a rare purple tri American Bully whose “kiss” video went viral with over 1.5 million views. His loyal followers have fallen in love with his charming personality and good looks. Clyde even has his own chain company called: Bullies & Co and recently signed to an agency! Clyde's goal is to be living proof that the American Bully breed isn't as scary as people think and is on the right track to become one of the biggest dog influencers of all time. STUDIO BEHAVIORS: Sit. Down. Stay. Side. Watch Me. Recall. Walk on leash with stranger. Crate. Speak & Quiet. Back Up. Crawl. Roll Over. Kiss. Jump. Paw. Sit Pretty. Bark & Howl. Hide & Seek. Leave It. Heal. Right.